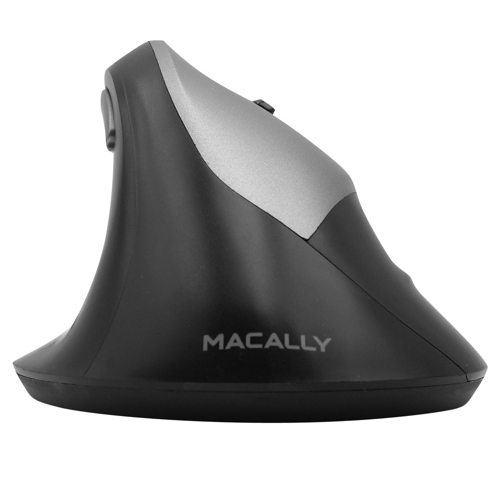 The Macally ERGOPALM is an ergonomic vertical wired USB mouse for Mac and PC. 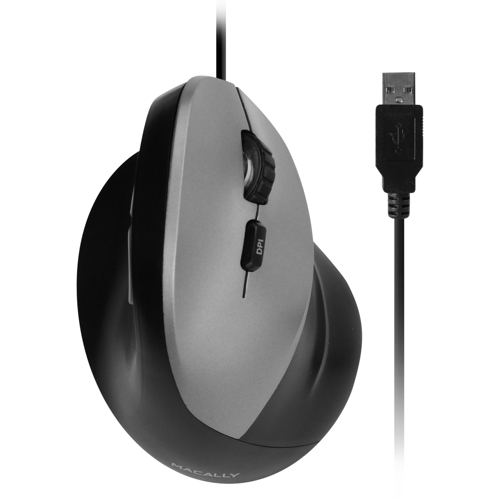 This mouse has a DPI button that allows you to switch between a sensor resolution of 800, 1600, 2400 and 3200 DPI so you can set the tracking speed and precision to your preference. 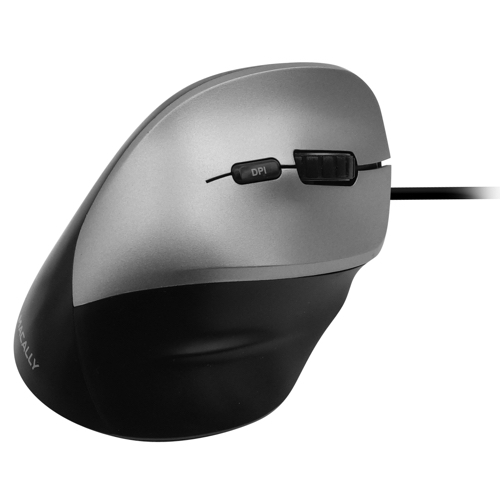 The 5 soft-click buttons are sensitive and quiet so you can do your job without distraction. 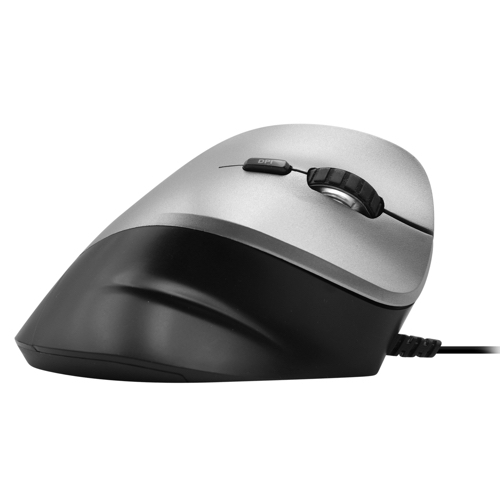 The smooth and precise scrollwheel can also be used as a sixth button. 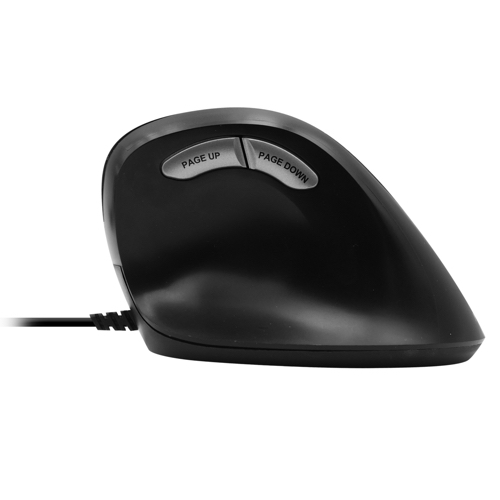 Finally, it has Page Up/Page Down shortcut buttons that allow you to scroll conveniently through web pages/documents. 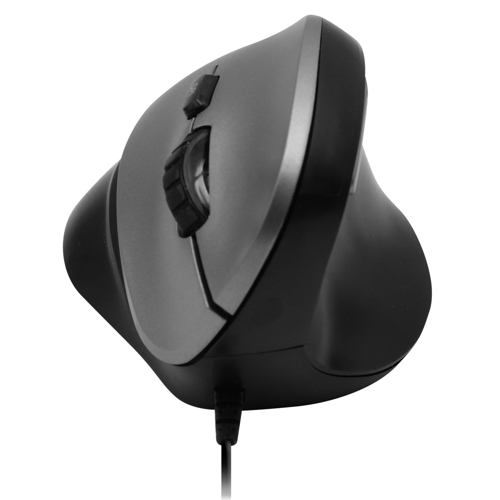 The 150 cm (5') long cable allows you to connect the mouse to your Mac or PC (Plug and Play, no driver required), even when it's under your desk.